Video and Pictures - McKenzie Brothers Timber Co.
View these pictures of some of the different types of trees we've made for our customers, it will give you an idea of what we could do for you! We have made trees in scales from TT to 1/2" but most sales are N-O or 1" to 20". 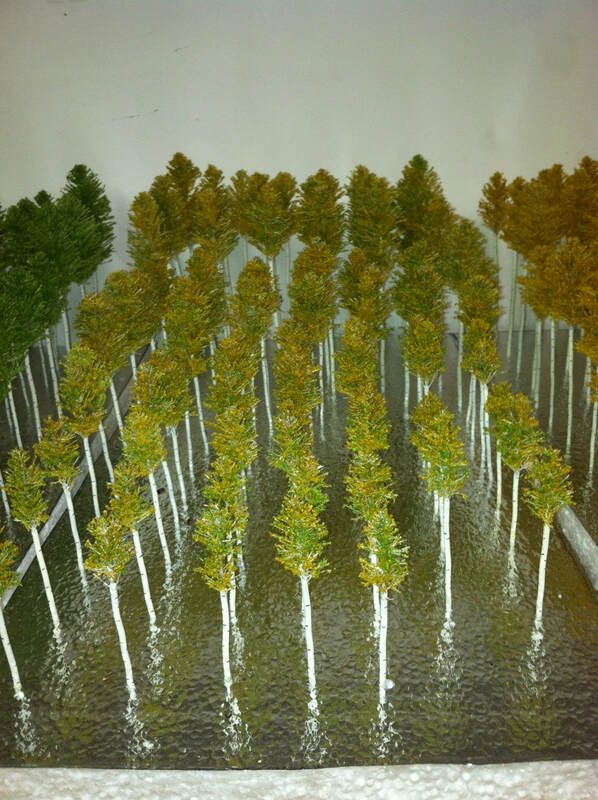 Aspens - Here are our smaller or standard Aspens, from 2 to 11 inches, in Aspen gold, early or late summer light green, medium summer green, and fall red or a combination of any of these colors. 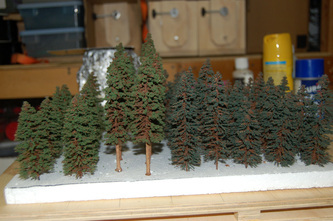 I flock the Aspens with NOCH Leaf Flake material. 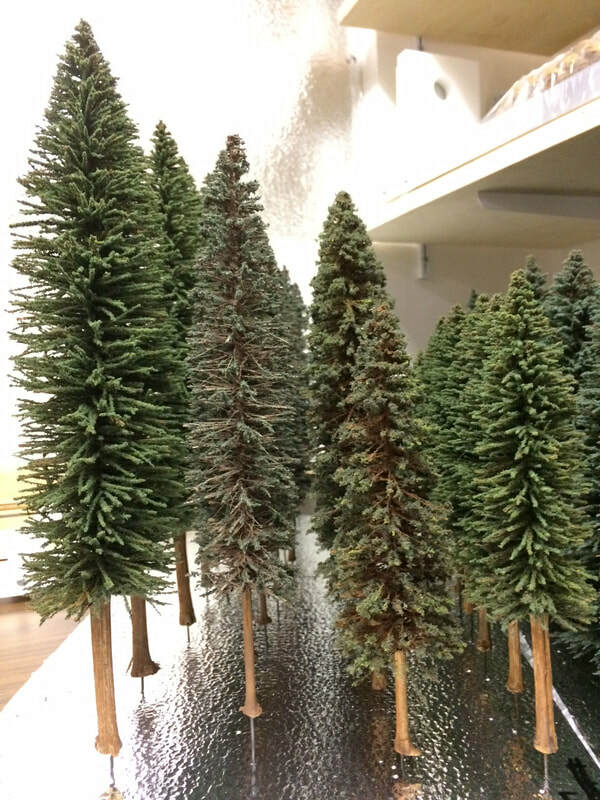 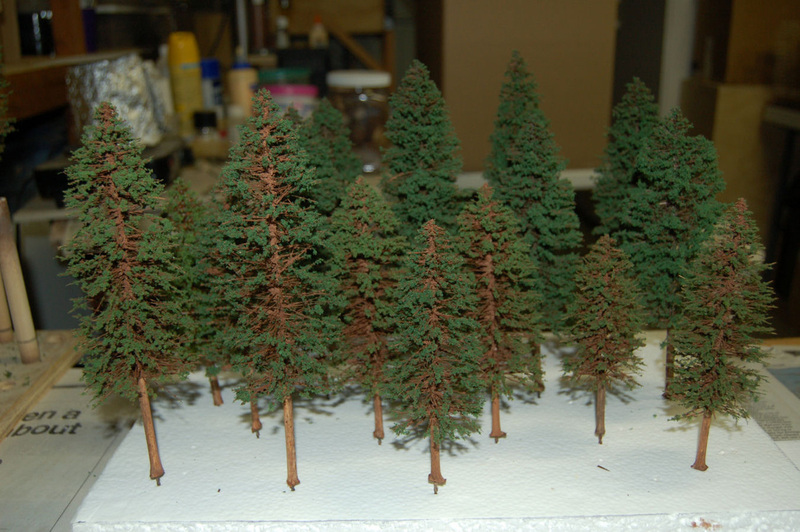 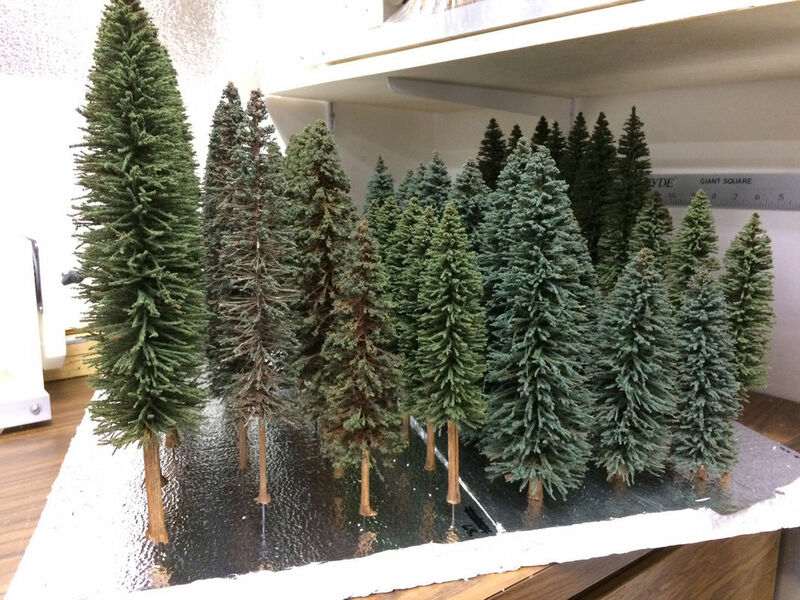 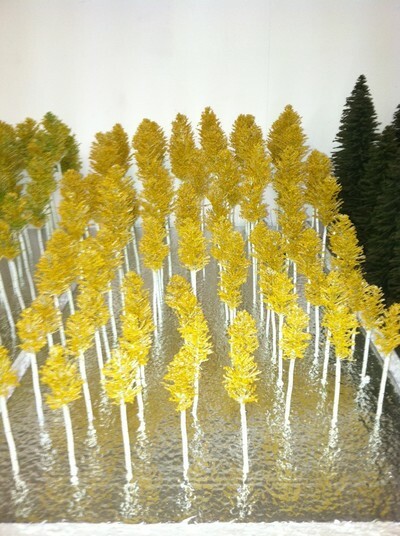 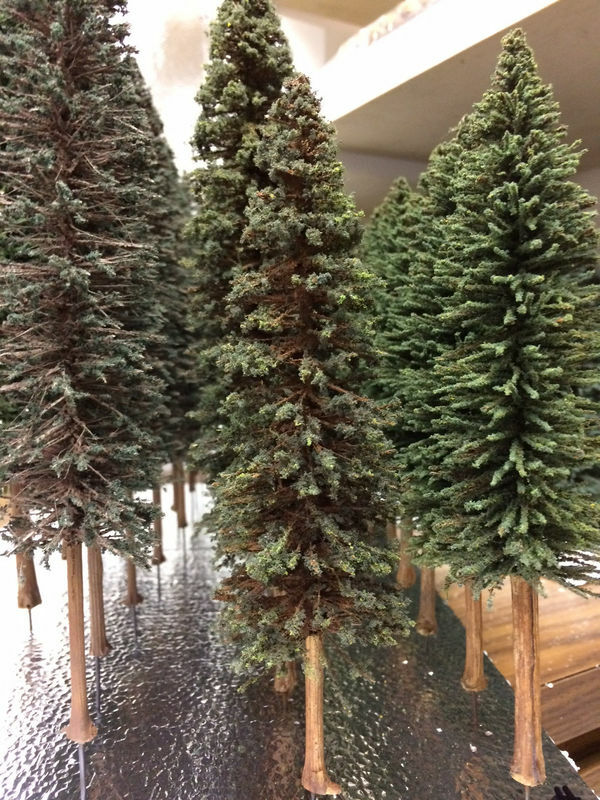 These are examples of N scale Redwoods that show the proportion between a Doug Fir and the smallest tree a Cedar. 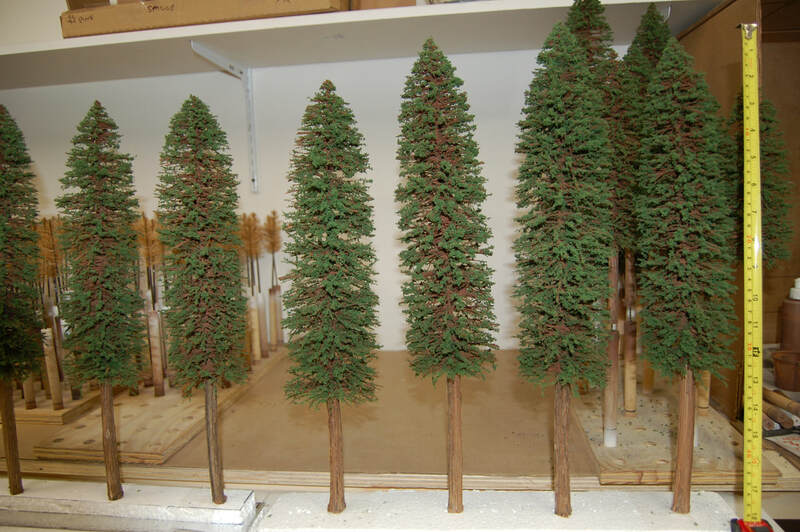 Getting the general shape, color and proportion of trunks to the upper tree we feel we can represent each type of tree well with our method of tree making. 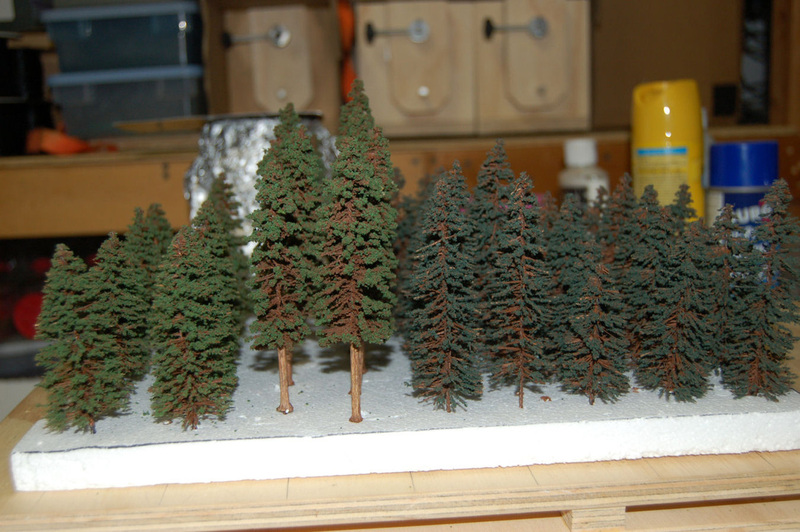 The Redwood is a very tall tree so it can be difficult to model it. 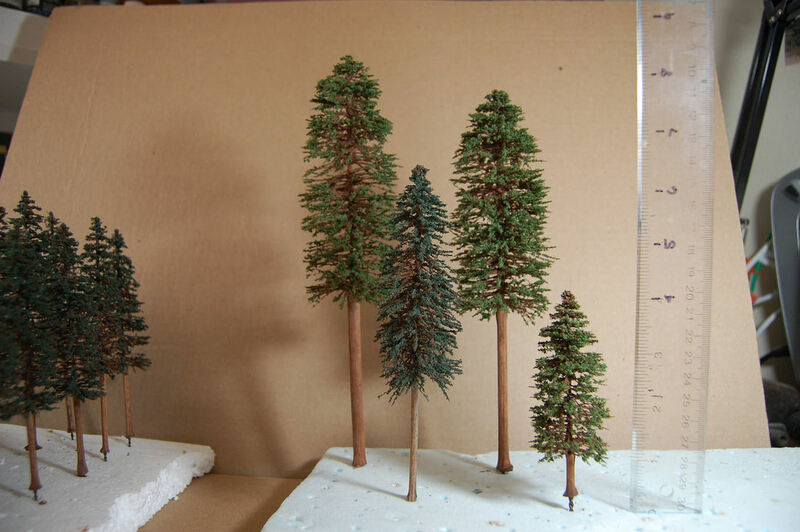 With the smaller scales we think we and so you can do a creditable job using the tree machine and our methods, in N and HO scales, and is some cases S scale. 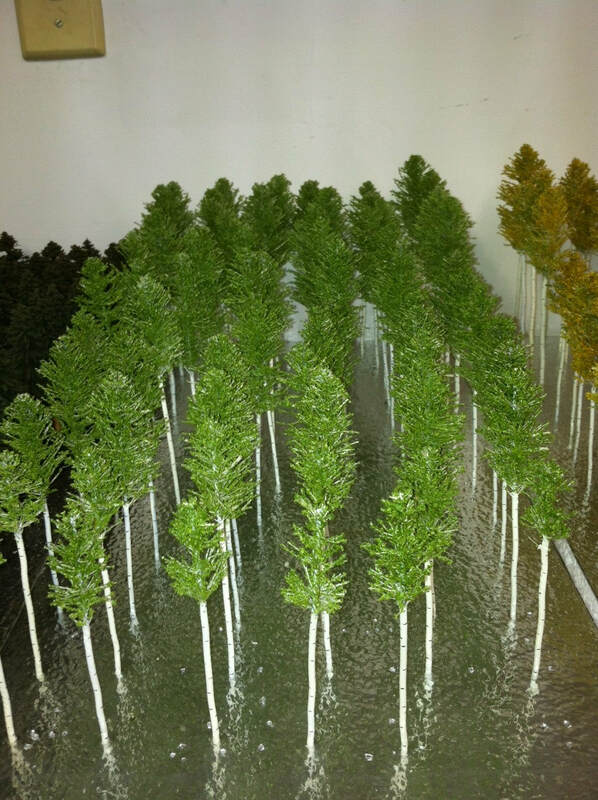 a show near you we can also arrange to deliver, if you are so inclined. These trees pictured will have their wild grape vine trunks added which are between 5 and 6 inches tall making the tree about 18 to 22 inches over all. 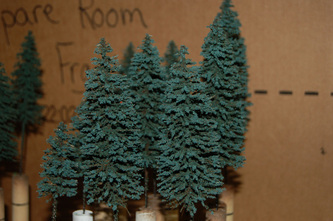 glue a planting wire in, for me to ship with and you to be able to plant with. 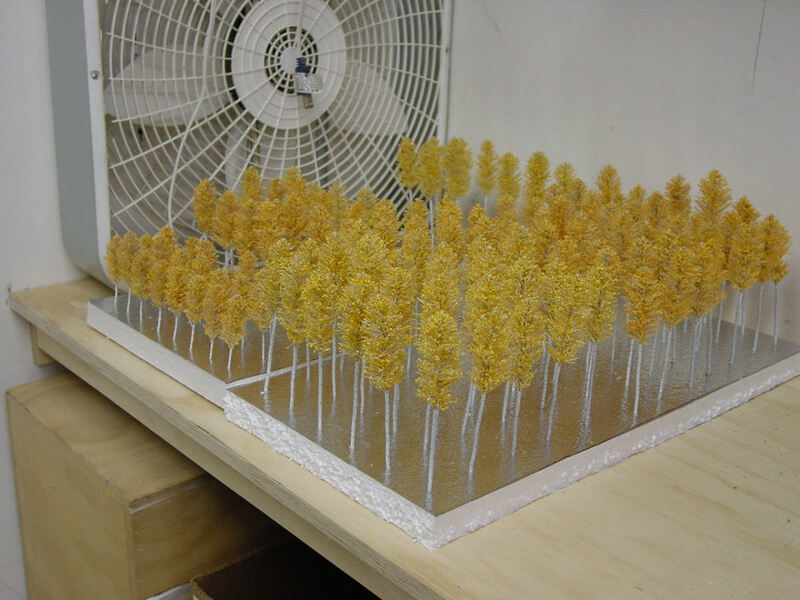 I flock with these larger Aspens with foam material in Aspen Yellow, light green, darker summer green, and or shades of red.